Mingus will be headlined by local Sergio Mendoza (another native son) and his band, who perform Mingus tributes throughout the U.S. and Europe. The free concert is scheduled to begin at noon on Saturday, April 20. There will be vendors with food and drinks for purchase. Sponsored by the Santa Cruz Advocates for the Arts (SCAA) the afternoon-long event will also featured the award-winning Mariachi Apaches from the Nogales High School, Tucson’s Jazz Institute Ellington Band, the Hardy Blues Band from New York, among others. We hope you can join us for what promises to be a multi-talented and inspirational tardeada of music! 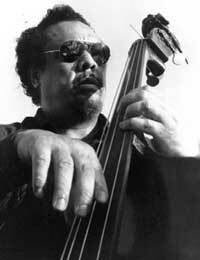 Learn more about the Charles Mingus Hometown Music Festival at http://mingusproject.com and in our local newspaper http://nogalesinternational.com.